A luxe mix of fibres; the client wanted “luxurious” and “yellow”. It is simple plain weave, but gets so much interest and texture from the mix of fibres and color variations. Warp is a mix of cotton (noho flake, and 8/2), sea wool, and baby alpaca/cashmere. 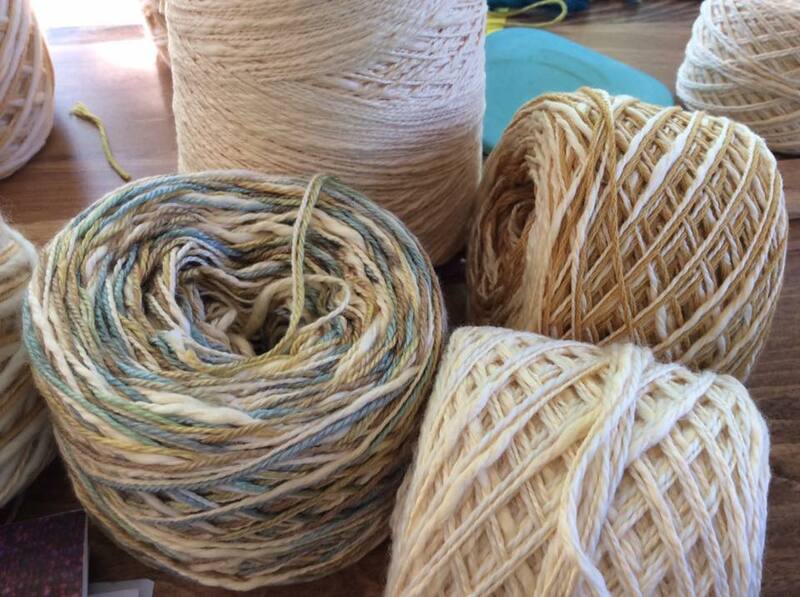 Weft is velvety merino 2ply, noho cotton and silk.